The size of the object was large from the witnesses’ point of view. Lewistown is a borough in and the county seat of Mifflin County, Pennsylvania, population 8,338. 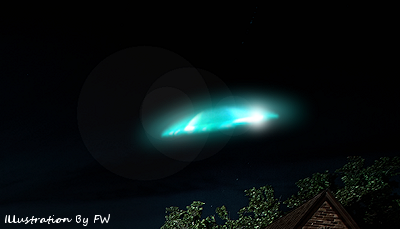 Pennsylvania MUFON is investigating. Pennsylvania has a current UFO Alert Rating of 3 with a high number of recent reports nationally. Pennsylvania had 26 UFO reports in June 2014 – the 7th highest reporting state – while California had 107 reports as the highest reporting state. The above quotes were edited for clarity. Please report UFO activity to MUFON.com.